IBF no. 4 contender Mark Anthony Barriga and no. 7 contender and former IBF world minimumweight champion Jose Argumedo of Mexico gets an ordered by the IBF for a title eliminator. Barriga who has an impressive amateur record now handling an undefeated professional record of 8 wins with 1KO is now finally going for his ultimate dream to become a world champion. 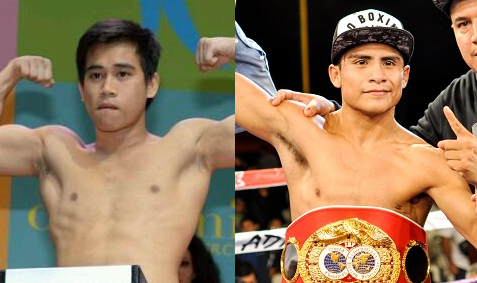 Only 24 years old and now one of the top contender in the minimumweight division. Barriga is a tactical fighter and we can compare his style to the former pound for pound fighter in the world Floyd Mayweather. Barriga maybe not a KO artist but his technique is very special and can win always with decisive points. On the otherhand, Jose Argumedo of Mexico is a 29 years old former IBF World Minimumweight champion. He is a hardhitting boxer with a record of 20W(12KO)-4L. Argumento woin his IBF world title in 2015 and successfully defended it 3 times before he was defeated by Hiroto Kyoguchi last year via unanimous decision. Winner of this fight will face the current IBF World Minimumweight title holder Hiroto Kyoguchi of Japan.